Will Nagaland Ever Have Peace? After six decades, a resolution to India’s insurgency remains elusive. Ever since Independence, peace and stability have been treasured luxuries in the Indian states of Nagaland and Manipur. In the last two decades, however, while peace talks may have produced little in the way of progress, ceasefire agreements with the various warring groups have at least provided a relative peace. The Naga issue is the major threat to peace in India’s Northeast. Broadly speaking, the insurgent groups National Socialist Council of Nagaland – Khaplang (NSCN-K) and the National Socialist Council of Nagaland – Isak Muivah (NSCN-IM), which claim to represent the Nagas, demand that a territory known as Nagalim (or Greater Nagaland) – which would include the present state of Nagaland along with roughly four districts of Manipur and parts of Assam and Arunachal Pradesh where Nagas live – be carved out to address the Naga issue. The proposed region of Nagalim would also include a not insignificant chunk of Myanmar, making this an international issue. Are Pro-Government Militias Helpful in Defeating the Taliban? According to a new report by the International Crisis Group, the answer is an unequivocal no. The Afghan government is deliberating whether to expand a U.S. funded pro-government militia force, known as the Afghan Local Police (ALP). The ALP, deployed in 29 of 34 provinces, has a mixed track record in stemming Taliban attacks and has been repeatedly accused of human rights violations. Afghanistan’s President Ashraf Ghani is considering adding 15,000 more militiamen to the force’s roster — upping the fighting strengths from approximately 29,000 to 45,000 men –and is seeking American tax dollars to fund the program past its expiration date in September 2018. Given Afghan President Ashraf Ghani’s “pivot” to Pakistan, many expect that Pakistan will have to reciprocate by either bringing the Afghan Taliban to peace talks or undertaking military actions against the group. In late May, reports surfaced that Pakistan hadwarned the Afghan Taliban to call off their spring offensive or face “consequences.” Media reports subsequently revealed that Ghani sent Pakistani authorities a letter asking Islamabad to cease its support for the Taliban and gave it three weeks to prove Pakistan’s commitment to stability in Afghanistan. Ghani’s current approach towards Pakistan seems to be putting all of his eggs in one basket, and there are serious doubts as to whether Pakistan will be as committed as the Afghan president wants. In 1815, Mountstuart Elphinstone, the first British ambassador dispatched to the court of the Afghan shah in 1809, published an abridged version of his eighty-eight volumes of notes from the mission. The result was the two-volumeAn Account of the Kingdom of Caubul. Two hundred years later, foreign understandings of the modern Afghan state and its inhabitants have been largely molded by this book. Western policy has largely failed the Afghans and the international community because its current (mis)understandings of Afghanistan remain uncritically and often unconsciously shaped by this vision from the past. Cooperation between the intelligence agencies of two countries is nothing new. Even during the Cold War, the CIA and KGB maintained communications. But the recent Memorandum of Understanding (MoU) between the spy agencies of Afghanistan and Pakistan – for long at loggerheads – is a first. There is something of an “in your face” attitude in it. There is a message for India as well as for the neighbourhood with an approving nod from the Americans and the Chinese. How do you perceive the MoU between the NDS and the ISI? The disputes are the first major postwar challenge to the order that led to a secure and growing Asia. Security and prosperity have largely prevailed in the Asia-Pacific for the better part of the last seven decades. Today, however, the region is faced with the first major challenge to the very order that led to a secure and growing Asia. On the one hand, the United States is committed to preserving a long-standing alliance system, access to the air and maritime commons, and the peaceful resolution of disputes. One the other, China seeks to impose a new system that better supports its own view of China’s cultural and historical significance in the region. This weekend Tajik and Chinese special operations forces will conduct joint counter-terror drills at a mountain training center outside Dushanbe. Asia-Plusreports that over 100 servicemen from the Chinese Ministry of Public Security will join special operations forces from the Tajik Interior Ministry and practice coordinating in a mountainous counter-terror operation. Interior ministers from Shanghai Cooperation Organization members are in Dushanbe for a meeting this week and will observe the exercise. Those expected to attend include the Interior Ministers of Tajikistan, Kazakhstan, Kyrgyzstan, Russia and Uzbekistan. The Chinese Minister of Public Security is also expected. Asia-Plus reported in May that the SCO meeting would focus on cybercrime, as well as law enforcement coordination on transnational crime and trafficking–both of weapons and drugs. China is getting prepared to test what Asia’s largest surface warship since World War II, new satellite data reveals. Last week, China's State Council released a new White Paper on Military Strategy. Although somewhat overshadowed by heightened tensions in the South China, the document has deep long-term implications for Australian defense. For the first time since World War II, a regional state is officially developing the full suite of conventional military capabilities, and now also the doctrine, to pose a direct threat to Australia and its vital interests. This is a big change. For more than seventy years, the defining feature of Australia's strategic environment has been the absence of a threat against which to plan its defense. It's been a good problem to have, and one that many countries would be only too happy to trade for their more exacting circumstances. But such a benign environment has also made things tricky when it comes to discerning what kind of military forces to build. "The United States has not employed international law as effectively as it could to stop China’s scramble for mastery over the South China Sea." In the last several months, China has set an expansionist and escalatory strategy into motion in the South China Sea. The embattled region has long played host to a fierce territorial dispute between six nations—China, Brunei, Malaysia, the Philippines, Taiwan, and Vietnam—powered by nationalism, energy, and great power politics. But in the last year, Beijing has inflamed an already tense dispute through an unprecedented policy of land reclamation. This latest tactic comes on the heels of a number of other aggressive moves by Beijing. On Monday night in a tony mansion in Washington’s leafy Georgetown district, two China hawks held a book party together. Unusually, one of them was Chinese: Liu Mingfu, a retired colonel in China’s People’s Liberation Army and author of The China Dream, a book about how China can displace the United States to become the world’s most powerful country. Liu suggests that Beijing should pour resources into its military, so that the United States won’t dare meddle with China in the seas off of its coast. “Turn some money bags into bullet holders,” he writes. Published in China in 2010, the book probably played a role in influencing Chinese President Xi Jinping to adopt the book’s title as his favorite slogan. The recent suicide bombings signal a disturbing escalation in ISIS activity. If, after the Islamic State (IS) claimed responsibility for the May 22 suicide bombing at a Shia mosque in Saudi Arabia’s Qatif region, you pointed out that this was neither their first attack nor was it likely to be their last, you would have been right. On May 29, Wilayat Nejd (Nejd is a name that refers to central Saudi Arabia) claimed another suicide attack in front of another Shia mosque—the al-Anoud Mosque—in Dammam. Three were killed and four wounded. These two incidents, both during Friday prayers precisely one week apart, represent the most sophisticated attacks thus far, with the Qatif bombing by far the most deadly. When taken in the context of previous attacks, arrests and threats that can be traced back to the fall of 2014, they also represent a significant escalation. 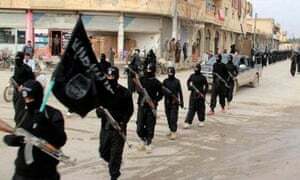 A group of western mothers whose children have joined Islamic State and other extremists in Syria and Iraq have appealed for them to return home, quoting from the Qur’an. In an open letter posted on social media websites, members of Mothers for Lifecalled on their sons and daughters to recall that Islam requires them to honour their parents and spare them suffering. A meaningful strategy is not a set of concepts. It is a detailed plan, with a clear net assessment of the situation, an examination of the available options and their relative cost benefits and risks, an explanation of why given options are chosen, a plan of action that sets clear milestones and calls for specific resources, meaningful metrics and measures of effectiveness, and a review cycle that ensure the strategy and plan to implement remain valid or are changed to reflect emerging realities. A meaningful strategy is not a public relations exercise. It must be honest in its analysis and in its objectives. In the case of ISIL and other Islamic extremist groups, Iraq, and Syria, a meaningful strategy must provide a meaningful and in-depth explanation of the course of the fighting, a realistic assessment of the problems the United States faces and in the uncertainties in its plans for reacting. It must be honest about the risks the U.S. faces and the fact it might take years for even the best option to succeed. Our SUV passes ripe wheat fields swaying in the gentle breeze. The occasional signs poke out where the fields meet the highway warning travelers that Islamic State has planted improvised explosives along the road. No one will harvest these fields for a long time. We’re headed toward the front line in the city of Sinjar to meet Kurdish Peshmerga fighters. Islamic State stormed the northwestern Iraqi city in August and massacred the Yezidi residents. The militants looted the city of valuables and kidnapped thousands of women and girls — forcing them into slavery. The residents who could escape fled to Mount Sinjar, home to the Yezidi people’s holiest shrines. The Yezidis held out on the mountain for months. BEIRUT — A British actor who has had minor roles in Hollywood films has joined Kurdish fighters battling the Islamic State group in Syria and appeared in an online video Tuesday. Michael Enright, who played a deckhand in “Pirates of the Caribbean: Dead Man’s Chest,” appeared in a video released by the Kurdish People’s Protection Units, known as the YPG. The video showed him in a trench with other fighters firing an assault rifle. “ISIS are dangerous to every human being alive,” Enright says in the video, posted on the YPG’s Facebook page on Tuesday, referring to the IS group. He called for weapons and medical aid for the Kurdish fighters, describing them as “my havals,” the Kurdish word for comrades. ISIS’s roots in Saddam Hussein’s Baath Party are deep — many of the group’s most devoted commanders, advisers and fighters started out as Baathists. The ex-Baathists essentially run ISIS, and their past is evident in the tactics they are using now. REPORT The Islamic State’s Best Weapon Was Born in the USA How the militant group is turning the Iraqi security forces’ Humvees into their worst nightmare. Obama failed to get an agreement to leave troops in Iraq past the 2011 deadline. Wrong. The Asian picture is mixed, with downgrades for China and Japan. The OECD has cut its forecasts for global growth, giving the world economy only a “muddling-through” B-minus grade amid weak investment and poor productivity. Releasing its latest “Economic Outlook” report Wednesday, the Paris-based international economic organization said the world economy would expand by 3.1 percent this year and 3.8 percent in 2016, down from its November forecasts of 3.6 percent and 3.9 percent, respectively. In 2014, the world economy grew by 3.3 percent, after an average growth rate of 3.9 percent a year in the decade to 2011. Russia's Ukraine Game: Will Putin Go All In? "Ukraine may be out of the headlines for now—but it is still very much in play." Predicting what the Putin government will do when it comes to the crisis in Ukraine is fraught with peril. I myself did not anticipate the rapid annexation of Crimea last year. At the time, I believed that there was no real danger to the Russian strategic position on the peninsula and that Moscow's long-term interests weren’t served by amputating the most reliably pro-Russian part of the country from Ukraine. With that caveat in mind, however, let us assess some of the factors currently in play. The administration's messaging on its Iraq strategy has basically been: No ground troops—at least until 2016—so stop asking. The general Republican question for President Obamawhen it comes to the self-described Islamic State in Iraq is simple: Where’s the strategy? Obama should have left behind some combat troops rather than bringing them all home. He should have reacted more aggressively to the extremist group, and much earlier. He should even—in the view of a few—send thousands of troops back now, or risk “losing” Iraq. After a successful visit by Defense Secretary Ash Carter, it's not a question whether the U.S. can improve its ties with Vietnam, but how to best do it. After this week’s Shangri-La dialogue in Singapore, which featured the U.S.-China war of words that has come to characterize the security meeting, Secretary of Defense Ashton Carter traveled on to Vietnam to meet with Hanoi’s defense minister. Carter visited Vietnam’s Naval Command and the city of Haiphong, becoming the first U.S. Defense Secretary to do so. Haiphong harbor famously—or infamously—was mined by the U.S., in 1972, during the Vietnam War. U.S. Navy officials this week voiced rare dissent with the Pentagon over a long-delayed competition for a new armed, carrier-based drone that could be worth billions of dollars to industry, and said the U.S. Defense Department’s foot-dragging posed risks to the Navy’s future aviation forces. Rear Admiral Mike Manazir, director of air warfare for the Navy’s chief of naval operations, on Wednesday said the Navy’s requirements for the new unmanned aircraft had been locked in for well over a year, but the Navy could not release the terms of the competition until the Pentagon completed its study. Manazir echoed growing frustration voiced by Navy Secretary Ray Mabus during a speech at a Washington think tank on Tuesday. Moscow’s breakup with Ukraine has forced the Russian navy to suspend construction of a variety of next-generation warships, throwing the future of Russia’s naval rearmament campaign into question. A major part of Russia’s communist-era military shipbuilding industry is located in Ukraine, a former Soviet republic, but Moscow’s support for Ukrainian separatists over the past 18 months has prompted Kiev to curb defense industry trade between the two countries. Deputy Prime Minister Dmitry Rogozin said Tuesday the disruptions would paralyze Russia’s navy construction program: “Due to the termination of supply [of gas turbines from Ukraine], we cannot complete the construction of surface vessels for the navy,” he was quoted by news agency TASS as saying. Leadership, says Vinod Khosla, “is about having a point of view, an internal compass.” And Khosla, a cofounder of Sun Microsystems and one of Silicon Valley’s best known venture capitalists, has a point of view — and then some. He gives short shrift to his fellow VCs, saying, “90% really add no value, and I truly believe 70% of them reduce the potential of a company.” Business consultants? Less accurate than a bunch of monkeys throwing darts. Journalists? Why pay attention to an English major? asks Khosla, a 1980 Stanford Graduate School of Business alumnus. Recently, I wrote a guide explaining how to encrypt your laptop’s hard drive and why you should do so. For the benefit of Windows users, I gave instructions for turning on BitLocker, Microsoft’s disk encryption technology. This advice generated an immediate backlash in the comments section underneath the post, where readers correctly pointed out that BitLocker has been criticized by security experts for a number of real and potential shortcomings. For example, BitLocker’s source code is not available for inspection, which makes it particularly vulnerable to “backdoors,” security holes intentionally placed to provide access to the government or others. In addition, BitLocker’s host operating system, Microsoft Windows, provides an algorithm for generating random numbers, including encryption keys, that is known to have been backdoored by government spies, and which the company’s own engineers flagged as potentially compromised nearly eight years ago. BitLocker also lost a key component for hardening its encryption, known as the “Elephant diffuser,” in the latest major version of Windows. And Microsoft has reportedly worked hand-in-glove with the government to provide early access to bugs in Windows and to customer data in its Skype and Outlook.com products. WASHINGTON (AP) – The growing use of encrypted communications and private messaging by supporters of the Islamic State group is complicating efforts to monitor terror suspects and extremists, U.S. law enforcement officials said Wednesday. Appearing before the House Homeland Security Committee, the officials said that even as thousands of Islamic State group followers around the world share public communications on Twitter, some are exploiting social media platforms that allow them to shield their messages from law enforcement. Is It Time For Finland to Join NATO? Last week, Finland's new government announced that they will explore the possibility of NATO membership. While wariness is still evident in Finland's public and membership likely a ways off, the government's clear focus on NATO underscores the serious threat they face from an aggressive Russia. Helsinki's stance makes a full exploration of the benefits of future Alliance membership by its policy makers more crucial than ever. For Finland, NATO membership would first and foremost satisfy the desire for the collective defense power of the alliance through its Article V language. While Finland boasts a reserve size of 900,000, its standing armed forces number just 35,000. The hardware that it would bring to a fight on its own - 60 combat aircraft and 250 battle tanks and fighting vehicles - is impressive for a country of that size but would not be enough to withstand the brunt of Russia's forces, whether through a traditional invasion or hybrid warfare incursions as seen in Ukraine. By joining an alliance that collectively numbers 3.3 million troops and whose combat equipment numbers in the thousands, Finland would greatly bolster its territorial defense capacity. At the end of the Cold War, Swedish submarine hunters commanded an arsenal featuring depth charges, torpedoes, and anti-submarine-warfare grenades, and surface submarine hunters were aided by a large number of helicopters, which easily spot movements in the water. Now, however, "we've got rid of our more modern weapons," says Göran Frisk, a naval commander and top submarine hunter until his retirement 12 years ago. "The Russians can do whatever they like in Swedish waters as long as they're not careless, because in that case a Swedish warship can shoot and disable them." A little under a year since the outbreak of the 50-day conflict between Israel and the Palestinian militant group Hamas, the Egyptian-mediated truce still holds, but both sides are preparing for renewed hostilities. Hamas fighters are training intensively in the Gaza Strip and detonating explosives right next to the border so they can be heard by local Israeli residents. Hamas is also building a road along the border that it says will be used for combat operations. Meanwhile, the group’s rocket workshops are busy replenishing the stockpiles that were depleted or destroyed during the 2014 conflict. Jack Curtis is a Naval Aviator who graduated from the University of Florida and the Naval War College. He is a proud member of the Tailhook Association as well as the Military Writers Guild. Views contained in this post do not represent the United States Navy, the Department of the Navy, or the Department of Defense. Continuing its series of Wheel Books, USNI recently released Naval Command, and in light of many contemporary debates surrounding the title topic, it could not have come at a better time. Lieutenant Commander Thomas Cutler, USN (ret), a prolific author and accomplished Naval Officer with small-craft command experience in Vietnam, has assembled a collection of fourteen essays and book excerpts that effectively balances prescriptive recommendations with more philosophical reflections. Authors featured in Naval Command include Fleet Admiral Ernest J. King, USN; Admiral James Stavridis, USN (ret); and Rear Admiral James A. Winnefeld Sr., USN (ret). These officers add tremendous senior level insight; however, Cutler also wisely included essays by officers who were more junior at the time their writings were originally published. Of particular note in this category are the contributions of Commander Robert E. Mumford, USN, and Major E.J. Markham, USMC. The military’s young innovators can foster change by knowing how to stand out while respecting the boundaries of the system. I’ve said it myself, the military is an institution for and by conformists. As the cliché goes, “The military exists to protect democracy, not to practice it.” Even though we sometimes talk about flattening organizational charts and incorporating the management fad of the week, in the end, the military has to be a dictatorship. The battlefield requires it. When cannons are firing, there’s no place for second guessing and no time for open-ended discussions.